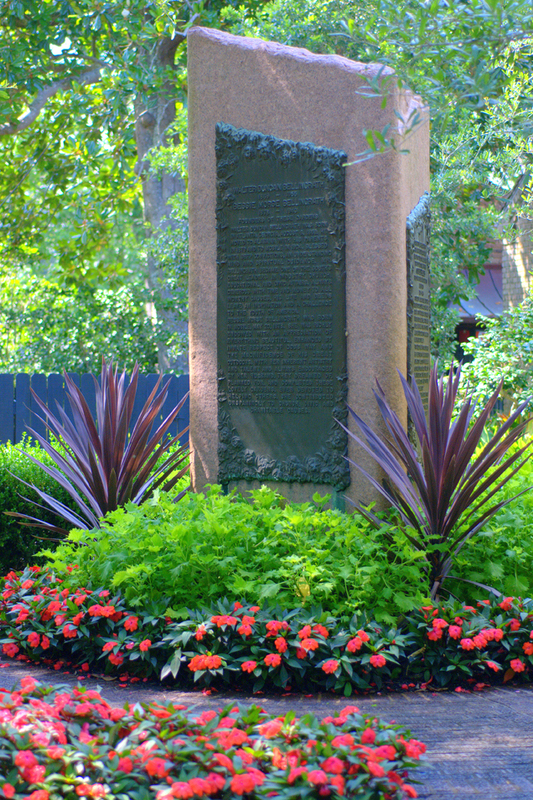 Live Oak Plaza is located at the center of the Gardens. 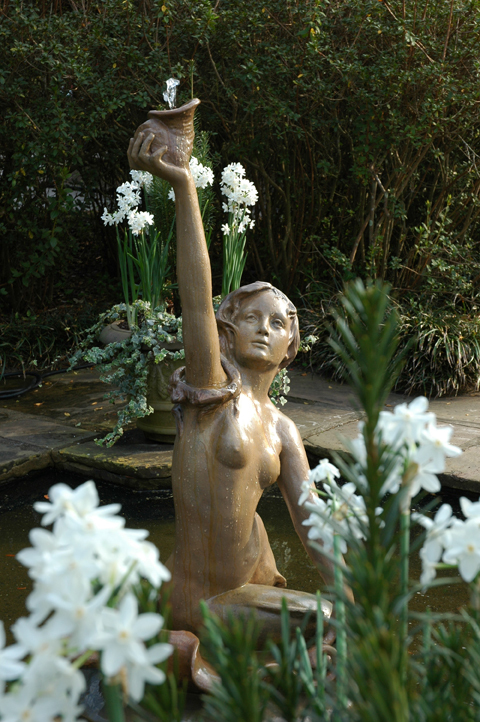 It adjoins the series of fountains and runnels which once carried the overflow of an artesian spring down to Fowl River. 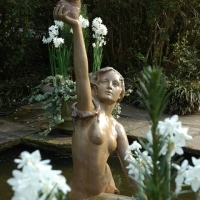 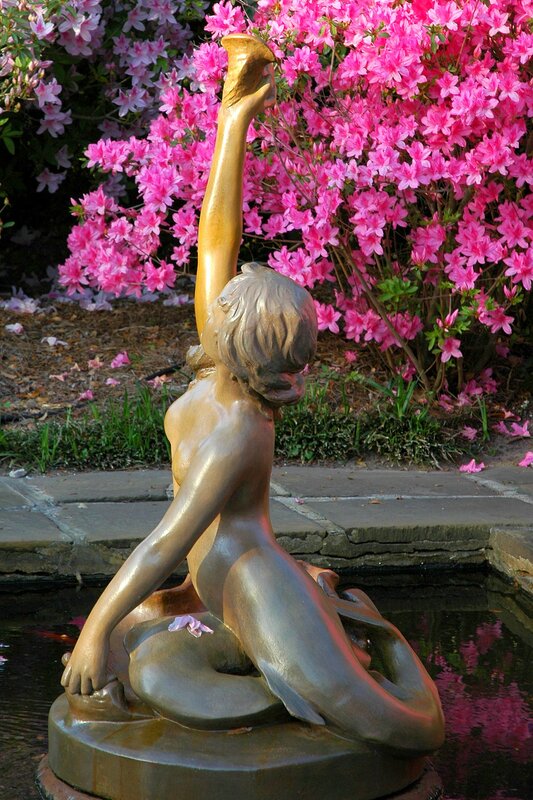 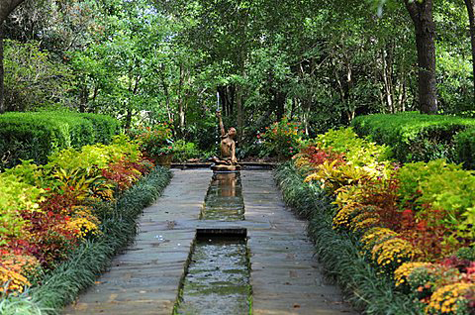 One runnel is centered with a terra cotta Mermaid Fountain purchased from an old New Orleans garden by Mrs. Bellingrath. 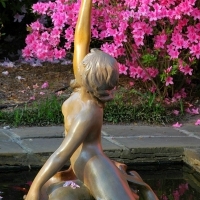 A bronze relief depicting the Old Testament tale of Rebecca by the Well adorns the westernmost pool. 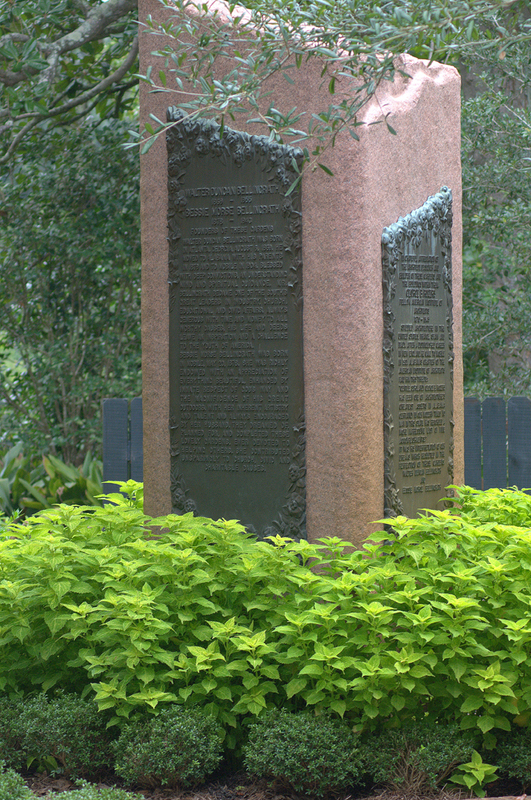 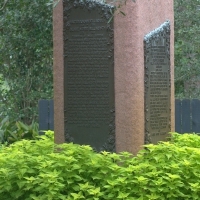 Mr. Bellingrath installed the Monolith to tell the story of Bellingrath Gardens. 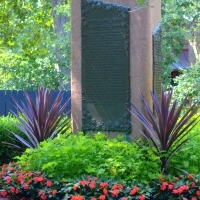 The shaft of Indiana limestone holds three bronze plaques outlining the history of the Gardens, the Bellingraths and architect George B. Rodgers.